Amazon.com description: Product Description: The livelihood of Third World farmers conflicts with saving the remaining tropical forests. The advantages of growing cocoa in cleared primary forest drive from the fertility of virgin soils and low concentrations of weeds, pests and diseases. 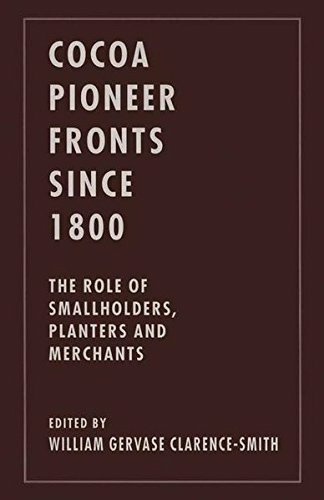 The consequent emergence of new 'pioneer fronts' has also been affected by cheap labour, relative commodity prices, pests and diseases, credit resources, entrepreneurship, information, physical infrastructures, and government policies. The dynamism of smallholdings and competitive private marketing over estates and marketing boards is demonstrated.